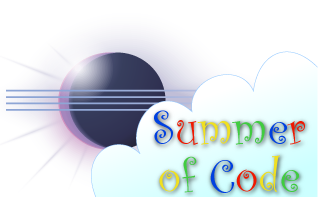 The Google Summer of Code program for 2010 has wrapped up recently. Eclipse participated this year and I’m not sure how all of our projects did, but I can at least tell you how things went with the project I was involved with. I and the rest of the EGit team (mostly Matthias Sohn) mentored Dariusz Luksza in providing some much needed enhancements to the EGit project. Dariusz started out with some smaller items such as adding tagging support but eventually moved on to more complicated endeavors like implementing support for the synchronize view. All I can say is that the project went really well and I recently was proud to nominate Dariusz as a committer. In the past, there have been other successful transitions from GSOC alumni to committer. It’s even helped some people get jobs! For example, Remy Suen had to endure my mentorship four years ago or so and now he’s having fun working at IBM hacking on Eclipse 4.0 amongst other things. I’m sure there are other examples out there that aren’t coming to my mind at the moment. In the future, it would be good to see more projects at Eclipse.org involved in GSOC and mentoring students. Just a little of your time can have a positive effect on a student and the open source community as a whole. In my opinion, working with potential contributors and more importantly students, is one of the best things we can do for ourselves within the Eclipse community to keep things vibrant.